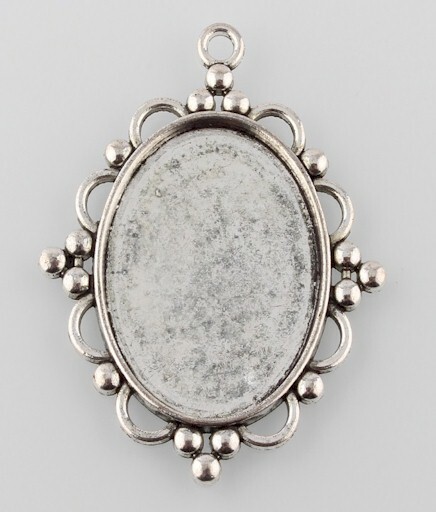 This is a cast base metal setting with an antique silver finish. Holds a 40x30mm cabochon or cameo. Has sort of a bali style look to it.